This section is available only for snapshots that contain any recorded object allocations. Recorded objects are shown distributed by how long they exist. 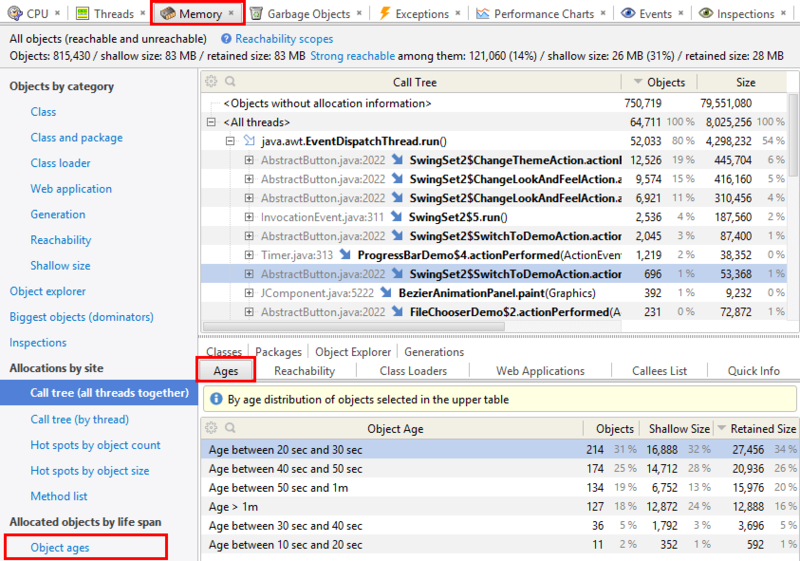 This information is helpful in tuning garbage collector parameters.